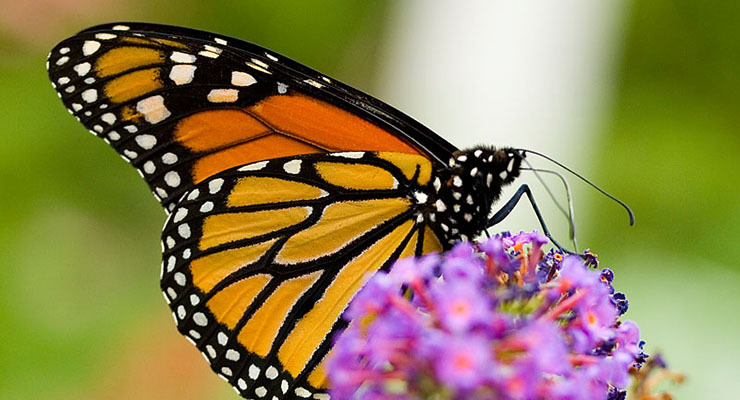 GREATER TORONTO – When Ontario residents think of monarch butterflies, their thoughts are likely to turn to butterfly sanctuaries like Toronto’s Tommy Thompson Park – home of the annual Butterfly Festival – or the Butterfly Conservatory at Niagara Parks Botanical Gardens. 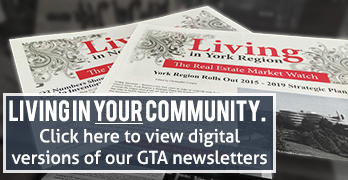 However, GTA residents now have an unlikely new destination for monarch sightings: the entire City of Markham, which was officially declared Canada’s first “Monarch-Friendly City” on April 12. Inspired by the David Suzuki Foundation’s #gotmilkweed campaign, Markham’s city council has endorsed a number of 2016 initiatives to help boost a monarch population that has declined by more than 80 per cent since 1996. While those initiatives do include creating monarch-friendly public spaces, another major aspect will be educating the public on how they can grow their own milkweed plants – the butterfly’s preferred natural habitat – on their own properties to match the city’s efforts. “The City of Markham is setting an inspiring example for municipalities throughout the migratory range of the monarch butterfly,” explained Jode Roberts, manager of the David Suzuki Foundation’s #gotmilkweed and Monarch Manifesto campaigns. Regardless of where you live in the GTA, thanks to the campaigns’ traction, milkweed plants will likely be in vogue for 2016 as a curb appeal must-have. What is a milkweed plant, and how does it help monarchs? Contrary to its title, milkweed is not overly invasive or harmful, and was actually removed from Ontario’s Schedule of Noxious Weeds in 2014. The plant is, however, classified as a perennial herb that bears small flowers between May and August. The flowers range in colour from green to soft purple, bringing a calming aesthetic touch to any existing garden. Milkweed contains a chemical called cardiac glycoside that rubs off onto monarch butterflies, making them distasteful to predators and safer in the wild. It is also the only species of plant where monarch butterflies will lay their eggs – making it all the more important to ensuring the butterflies’ survival. What are the first steps for growing milkweed? First, you’ll need to find some seeds or a starter plant. As of April 2016, GTA gardeners interested in buying milkweed can visit the David Suzuki Foundation’s new Online Shop, where you can buy plants and seeds separately, or invest in a kit containing both. Before putting your seeds in the ground, “stratify” them by wrapping them in moist paper towel, then placing them in a sealed container and storing them in the fridge for 30 days. Since some species of milkweed may spread laterally through underground roots, prevent them from interfering with your other plants by adding a below-soil border before you plant. When it’s time to plant, choose a sunny area with good drainage, and plant seeds at least six inches apart from each other. If you’re growing from starter plants, water them frequently and fertilize 2-3 times during the growing season, using a water-soluble fertilizer. How else can I help to support the monarch butterfly population? Avoid using pesticides or herbicides – which can be harmful to insects – when gardening at home. Speak with public spaces you’re involved in (e.g. schools, churches) about the possibility of planting a butterfly garden on the premises.